The Junta House- the famous six storied administrative, commercial, residential and cultural complex, more than half century old is deteriorating, as is obvious. But the structural audit says something else. As per the audit, the building in its existing situation is safe for habitation and with repairs and periodic maintenance; the expected life of the structure is expected to be 20-25 years more. Junta House, houses major government department like transport, PWD, forest, panchayat, civil supplies, women and child commission, is visited by the public in large numbers every day. Built in 1967, at 52 year, it is one of the oldest structures. The Public Works Department (PWD), last year appointed Mumbai based S P Bagwe Consultants Pvt Ltd to carry out a structural audit of Junta House. The scope of the work was Visual Inspection, NDT (Non Destructive Test) and preparing detail report with necessary recommendations. The fieldwork was carried out in the month of April 2017. NDT and Semi Destructive test (SDT) in the form of a rebound hammer test, ultrasonic pulse velocity, carbonation test, corrosion tests, cover meter tests were carried out on selected reinforced concrete members. “The structure being a RCC framed structure was investigated floor to floor for ease in observations. Each column, beam, slab and other structural members within the section was observed for a range of defects such as cracks, seepage, delamination and peeling of paints, etc,” reads the audit report, copy of which is with HERALD. “The detailed visual inspection along with NDT has been performed to assess the condition of the building. 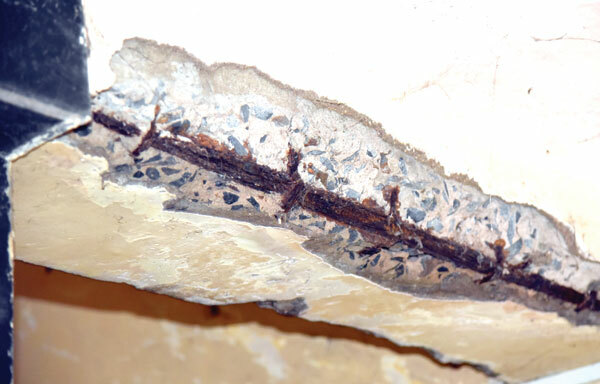 Most of the structural members (columns, RCC lift walls, beams, slabs, waist, slab, chajja, etc) are in sound condition except some cracks, seepages and dampness,” states the findings of the report. It further says that the ‘overall RCC elements are in satisfied condition’. The audit has exposed that the plumbing lines have got leakages at many locations resulting into dampness and seepages. In annex building IPS waterproofing and Bitumen coating is observed at the terrace which is in bad condition and in old building long section terrace is covered by shed having IPS waterproofing which has lost its integrity. Further, results of the various NDT tests and the visual survey were combined to confirm the quality of the concrete. Rebound hammer test results indicate fair in-situ strength of concrete. Ultra-sonic pulse velocity also shows doubtful in-situ quality of concrete. “The carbonation has reached to the average depth of 20.77mm. Half cell potentiometer indicates the probability of corrosion to be less than 5 per cent,” reports the findings. The consultancy agency in conclusion has said that the ‘building after general structural repairs can withstand gravity loads as per the provisions and requirements of I S Standards and it can be concluded that the building is safe for habitation in its current condition’. “After repairs the expected life of structure is 20-25 years if periodically maintenance, minor repair and painting work are done every five year,” the Audit concluded. The consultant has asked PWD that for additional safety, remove the loose concrete to avoid accidents stating that the loose part of the structure cannot be left in their present condition. Speaking to HERALD, Principal Chief Engineer Uttam Parsekar said that the recommendations of the consultant would be adopted and necessary repairs would be undertaken as prescribed. “Soon, we will also be going for audit of other government buildings in the City and State overall,” he said.